In a groundbreaking book that challenges familiar narratives of discontinuity, disease-based demographic collapse, and acculturation, Michael V. Wilcox upends many deeply held assumptions about native peoples in North America. His provocative book poses the question, What if we attempted to explain their presence in contemporary society five hundred years after Columbus instead of their disappearance or marginalization? 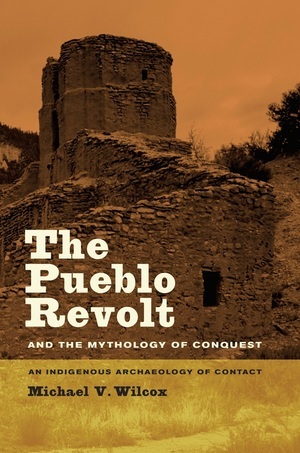 Wilcox looks in particular at the 1680 Pueblo Revolt in colonial New Mexico, the most successful indigenous rebellion in the Americas, as a case study for dismantling the mythology of the perpetually vanishing Indian. Bringing recent archaeological findings to bear on traditional historical accounts, Wilcox suggests that a more profitable direction for understanding the history of Native cultures should involve analyses of issues such as violence, slavery, and the creative responses they generated. Michael V. Wilcox is Assistant Professor of Anthropology at Stanford University.